James Diggens Auto services are proud to be authorised 5Forty VAN|Slam retailers all kits will be dispatched next working day with tracked delivery service. Fitting is available at our workshop in Southampton SO32 2BY. Fitting at Workshop only check booking availability prior to purchase normally 5/10 days. 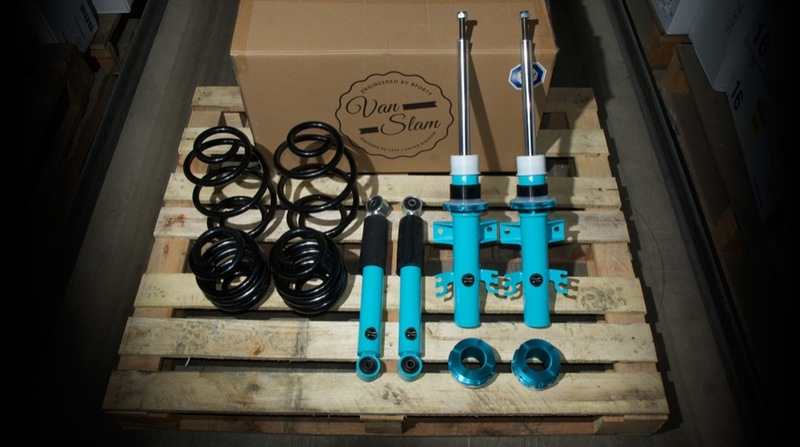 The VAN|Slam Coilover Kit allows you to lower your VW T5 or T6 between 40mm and 70mm, getting it to sit ‘just right’, ideal if you have fitted aftermarket alloy wheels and or camper conversion. 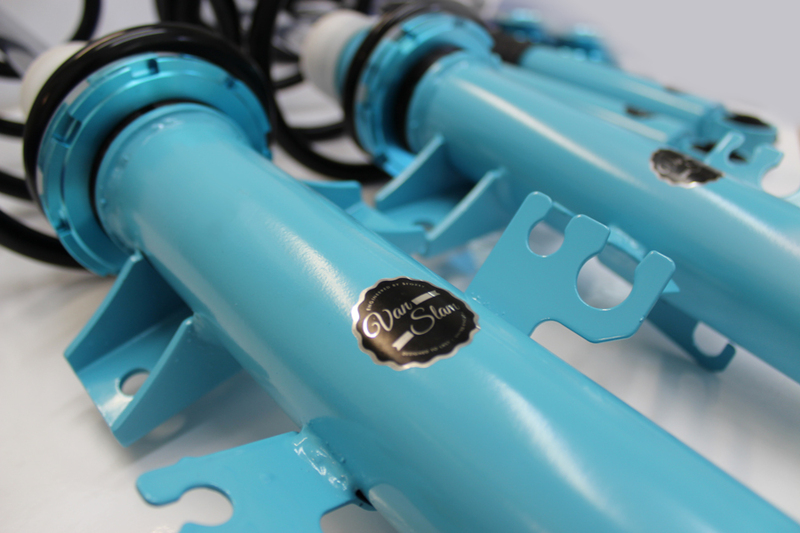 5Forty suspension specialists have deconstructed the best coilovers on the market, and tailor engineered two specific VAN|Slam Coilover Kits for the T26, T28, T30 and T32 models based on their findings. 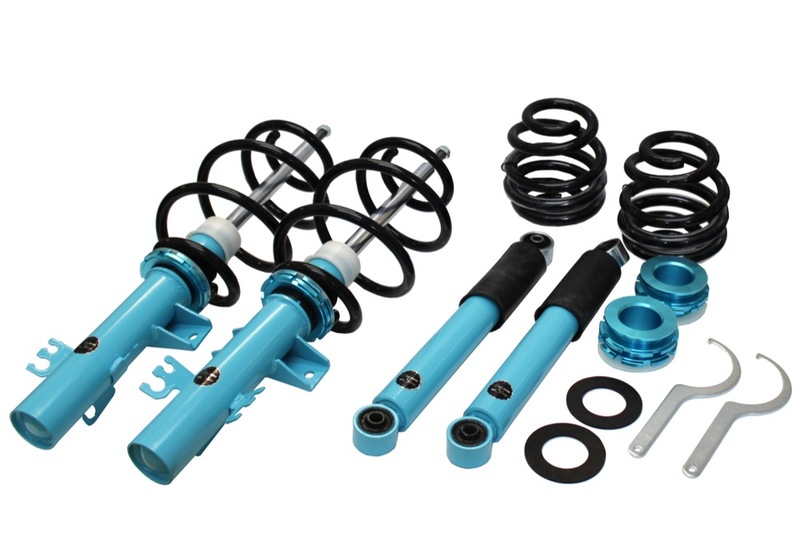 These coilover kits have been produced in factories already producing OEM suspension parts for some of the world’s largest vehicle manufacturers – plus, with TÜV Approval and a lifetime structural warranty, you can rest assured of the quality of these kit.